December 22, 2016. Irvine, Calif. – The results are in for the Sierra Madre Collection of U.S. Gold Coins, sold by GreatCollections on Sunday, December 18, 2016. Comprised of 55 pieces, the coins set many records, helped by the older generation slabs they were housed in. 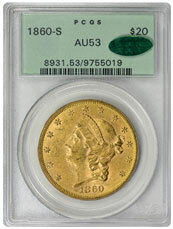 The 55 coins sold for a combined $107,847, far exceeding expectations of the consignor and GreatCollections. 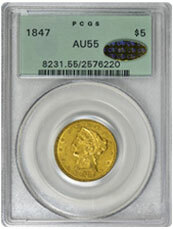 Listed in the PCGS Price Guide at $735, this coin sold for $1,540. 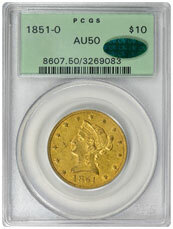 This coin sold for almost three times the PCGS Price Guide value of $1,225. 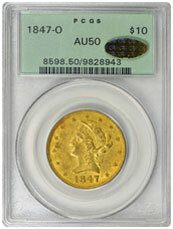 Another coin that sold for almost triple the PCGS Price Guide value of $1,350. This coin sold for almost four times CDN Bid and basically “uncirculated” money. To find out more about GreatCollections, please visit www.greatcollections.com or telephone 1-800-44-COINS (1-800-442-6467).